Enterovirus D68, a cousin of the polio virus, is suspected of causing acute flaccid myelitis. The Centers for Disease Control and Prevention is taking things up a notch to investigate a mysterious polio-like disease that’s paralyzing young children. Earlier this week, the agency announced it would form a task force to better treat and confirm the cause of acute flaccid myelitis (AFM), seemingly in response to a substantial uptick in cases this year. AFM affects the nervous system, damaging the area of the spinal cord that’s made of grey matter. Its victims are almost always children, who can develop symptoms like muscle weakness, difficulty speaking or swallowing, and paralysis. According to the CDC, there have been 108 confirmed cases of AFM documented across 29 states in 2018 so far, out of a total of 273 reports sent to the CDC. (Some of these potential cases are still being investigated). There have been no reported deaths as of yet, but AFM can be fatal. Doctors have known about the existence of AFM for a long time, since historically, it’s often been caused by an infection of the polio virus. But with the advent of the polio vaccine and the eventual eradication of polio in the U.S., the condition became incredibly rare. In 2014, though, cases of AFM started being spotted much more often, which prompted the CDC to monitor it closely. That year, there were 120 cases reported. Since then, AFM has followed a strange pattern, seemingly jumping up in frequency every two years. In 2015, for instance, there were only 22 confirmed cases, while 2016 saw 150 cases. In 2017, the number of cases had dropped down again, to just 33. This year has confirmed the pattern, but we still don’t know why it’s happening. What we do know is that polio isn’t causing these newer cases of AFM, which has left doctors wondering what exactly is. 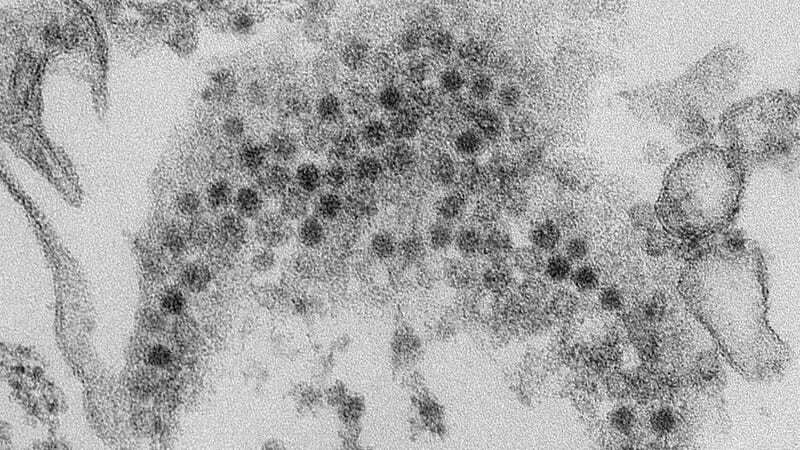 In 2014, the outbreak of AFM followed a particularly big outbreak of enterovirus D68, a cousin of the polio virus that typically causes the common cold. The majority of children with AFM have reported having a respiratory infection or fever right before coming down with AFM, further implicating it. The CDC currently acknowledges the likely role of D68 in AFM, but hasn’t come out and completely endorsed it as the main culprit. That’s probably because of the lack of direct evidence. While doctors have found D68 in the spinal fluid of some AFM patients, the vast majority of cases don’t have any signs of D68 spinal infection, and D68 isn’t the only virus that’s been found in patients’ spinal fluid. Other doctors, including some of the first to spot AFM in 2014, have recently argued that the growing pile of circumstantial proof—including evidence that current strains of D68 have mutated and resemble the polio virus much more that they used to—is now more than enough to convict D68. But time will tell if the task force assembled by the CDC will agree.